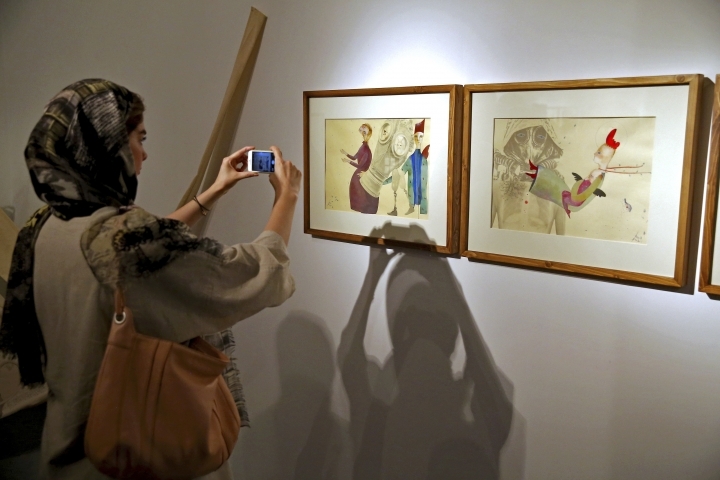 TEHRAN, Iran — The daughter of Iran's opposition leader Mir Hossein Mousavi, who has been under house arrest since early 2011, hides her pain behind abstract watercolor paintings of birds and blossoms — but bullets and bars are never far away. 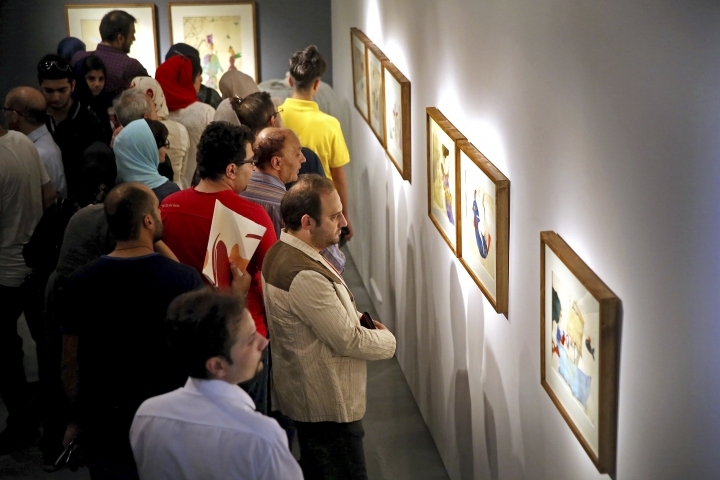 That's according to Narges Mousavi's latest art exhibition, which opened on Friday in Tehran. 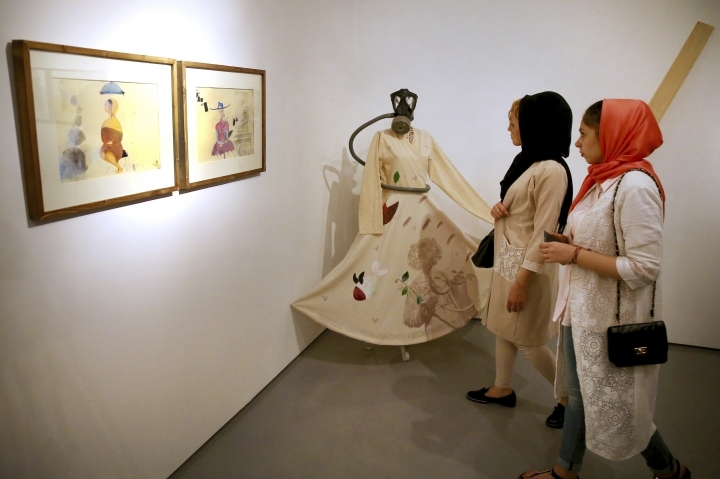 The display, entitled "When it Dawned," is the second public showing of her art since her father was placed under house arrest along with another opposition leader, Mahdi Karroubi. The two led Iran's Green Movement and street protests challenging then-President Mahmoud Ahmadinejad's 2009 re-election. No charges have been raised against Mousavi and Karroubi. Both are 75 years old. 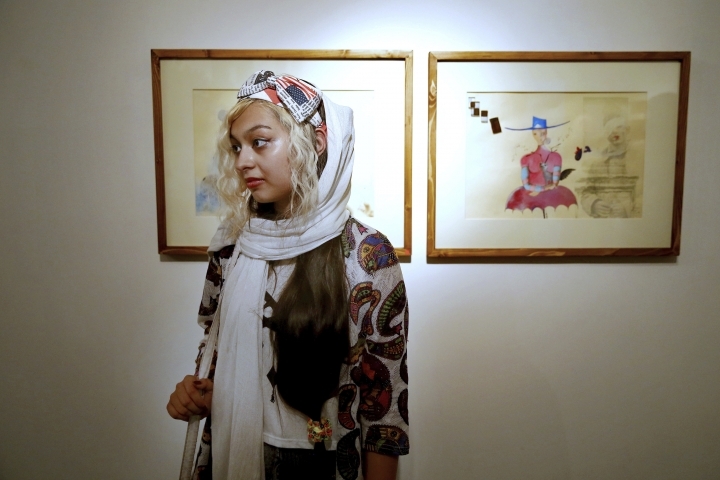 At the exhibition's opening at the "House of Free Designers" gallery in Tehran, Narges said her paintings are "about the contrast between coarseness of war and elegance of peace." In the cream-colored world of her art, birds sing, flowers blossom and "invisible angles in the sky and on the ground turn cruelty of the material world into kindness." "I attempt to conceal the agony brought about by weapons and missiles with a poetic touch," she said. But thin and sharp lines slice through some of the work. One depicts a mother holding her slain son as she cries. 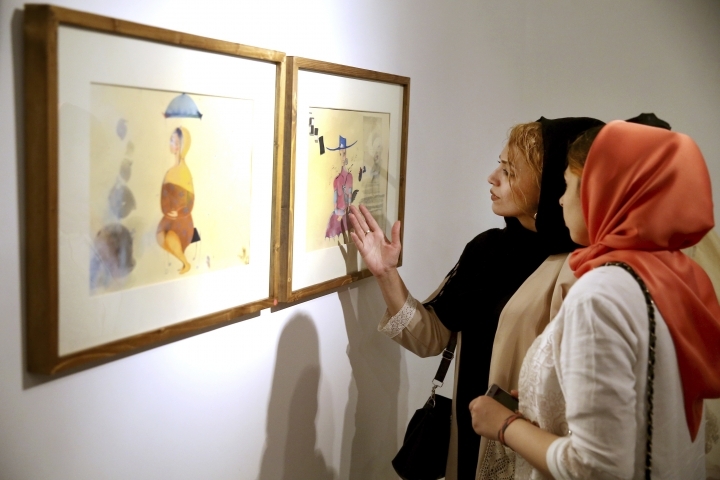 "The hope is that despite all the carnage, the fires, the crashing sounds of firing and nuclear threat, the world will remain a livable place," Narges was quoted as saying in a leaflet that accompanied the exhibit. 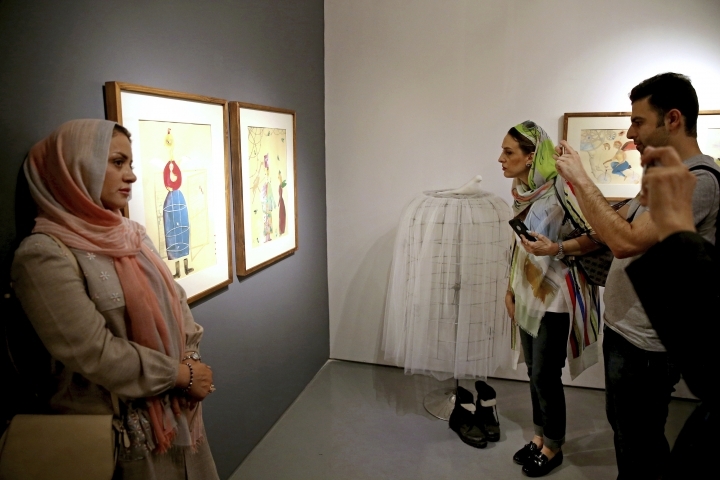 Her previous exhibition, in August 2015, was attended by many reformist politicians and activists, including former President Mohammad Khatami who served from 1997 to 2005 and who remains the spiritual leader of the reformist movement despite being under a media ban. Some political activists who had served prison terms since the 2009 street protests also attended the opening of the exhibition on Friday. 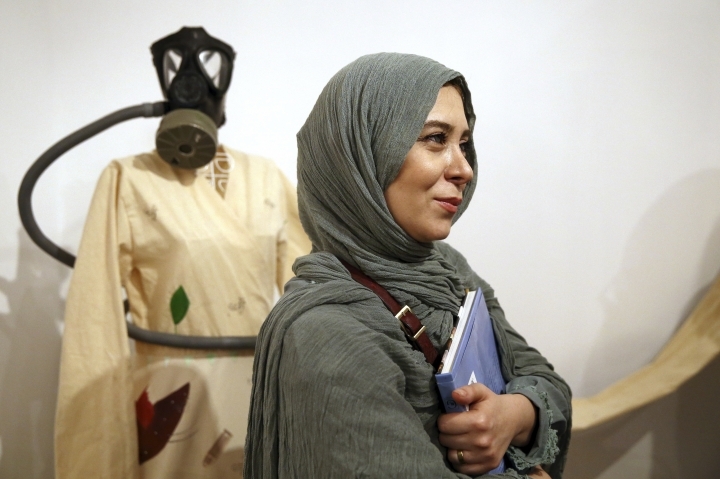 In the corner of the gallery stood an installation by the artist, depicting a woman's cream-colored dress dotted with images of bullets, a gas mask in place of the head. Spectators took photographs and appeared animated by the art. "The works show jails, bars and birds. All these symbolize freedom," said Fateh, who would only give his first name, fearing for his safety. 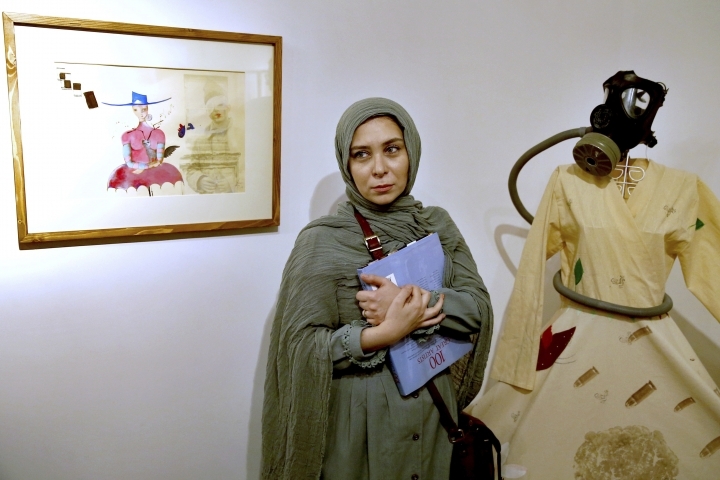 In a July interview with the Jomhouri Eslami daily, Narges Mousavi and her elder sister, Zahra, said they worry about their parents' health. Mousavi's wife Zahra Rahnavard is with her husband under house arrest. President Hassan Rouhani in both his presidential campaigns, in 2013 and 2017, promised to lift the house arrest for the two opposition leaders, but the pair remains detained. Hard-liners have demanded they be tried for treason. Occasionally, Iranian media mention Mousavi and Karroubi as having had medical checkups in hospitals. 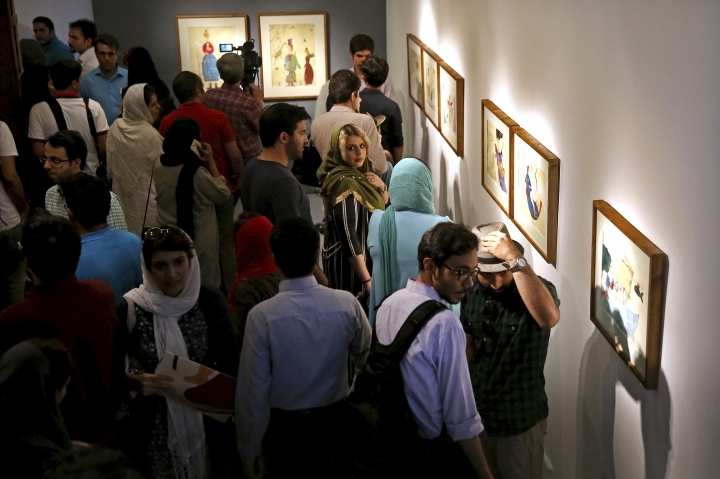 Associated Press journalist Mahdi Fattahi in Tehran, Iran, contributed to this report.